64 Smithfield village drive, Smithfield Village Estate. The very latest in interactive touchscreen technology has been installed, enabling clients to view available properties & estates in air conditioned comfort. Clients are loving this great way to ‘shop while you rest” with the first home sold this way on just the second day of the office opening. Cairns Key enjoy a well-earned reputation as a boutique, professional agency, with highly experienced sales consultants, dedicated to providing the service you should insist upon. Listing your property with Cairns Key means placing your valuable asset into safe & experienced hands. Along with their Smithfield agency Cairns Key also have an office at 75-77 Alfred st, Manunda. With both agencies in such high-profile positions, sellers can be assured their property is in a great position for prominent exposure. Investors also need look no further for superior property management. By keeping a relatively modest rent roll, your property is given the extra attention, with excellent communication provided to owners & tenants alike. 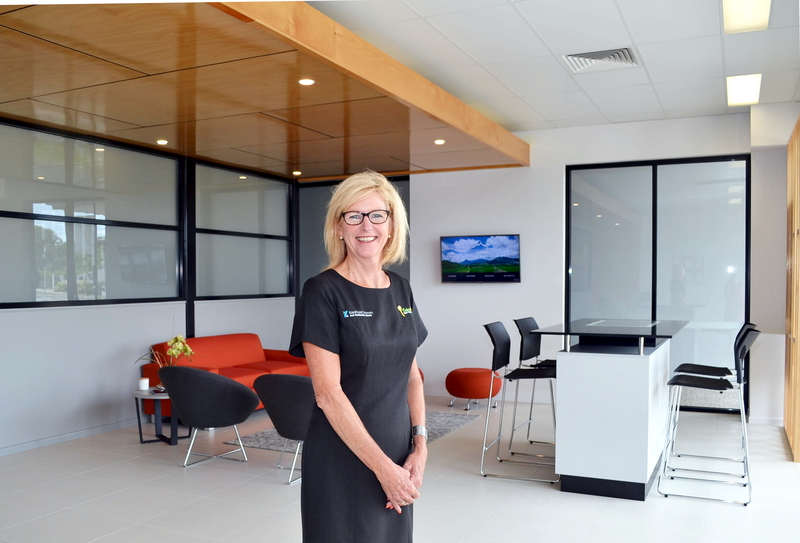 With no upfront listing fees & the latest marketing systems, Cairns Key Real Estate are leading the way. The official new office opening will be held this Sunday 5th March 10-12 pm. All welcome to come along, enjoy some refreshments, meet the team & try out the new touchscreens.